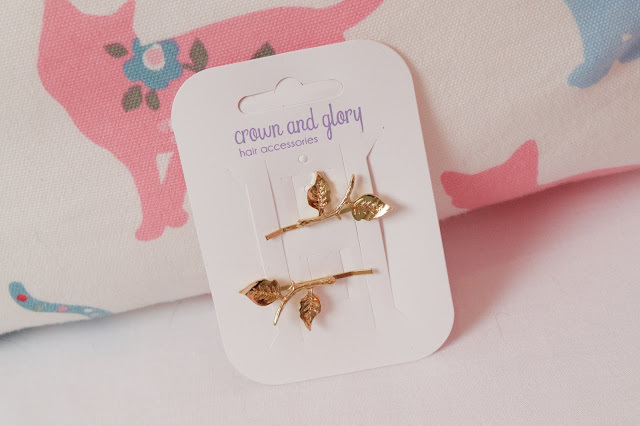 If you’ve never heard of Crown and Glory before, then I would definitely recommend checking out their website. 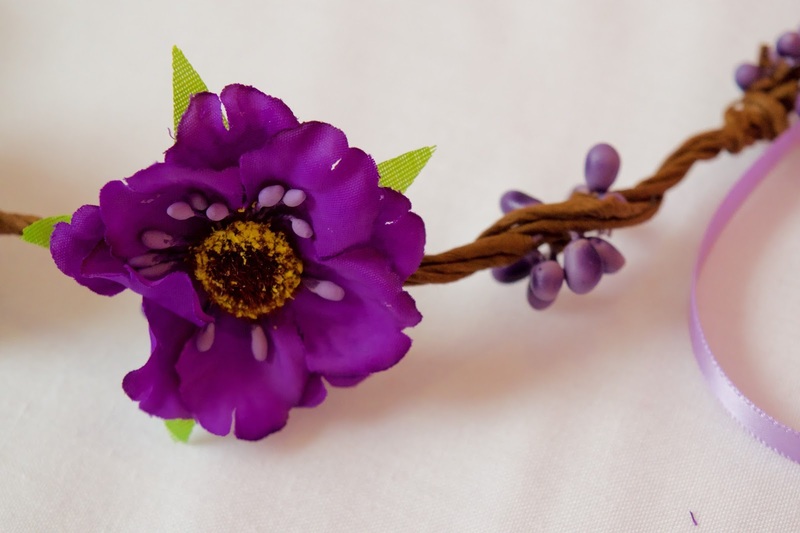 They sell a massive selection of gorgeous hair accessories covered in glitter, flowers, feathers and more! If you like sparkle and glitter, then I can guarantee you will be a Crown and Glory fan. 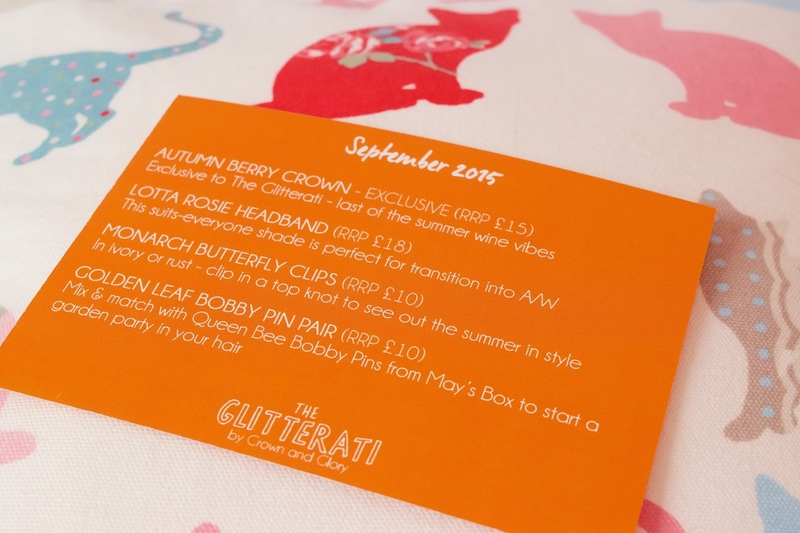 After doing some browsing on their website, I found out that they did their very own monthly subscription box – The Glitterati, and I knew I had to sign up there and then. Every month I like to share with you what arrived in my box, so I hope you will enjoy this month! 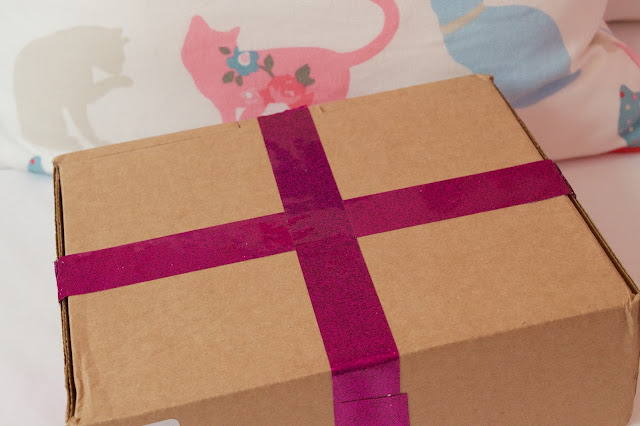 At the beginning of the month my box arrived, wrapped up in pink glittery tape – I always get so excited when I see the postman carrying this box! 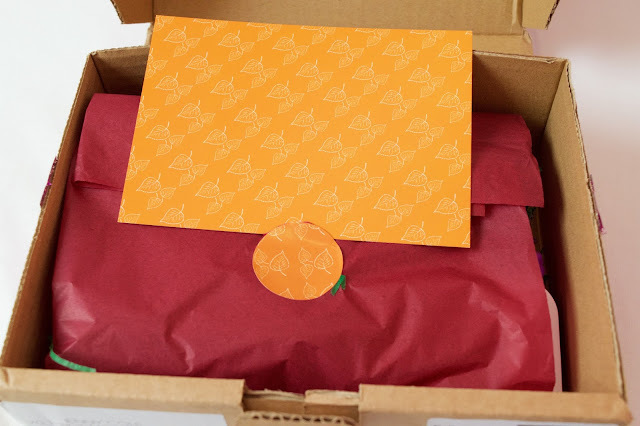 I couldn’t wait to open it, and the first thing I found when I opened up the box and undid the tissue paper was a little card telling me everything that was in my box and the values of it all – you definitely get great value for money with these boxes! 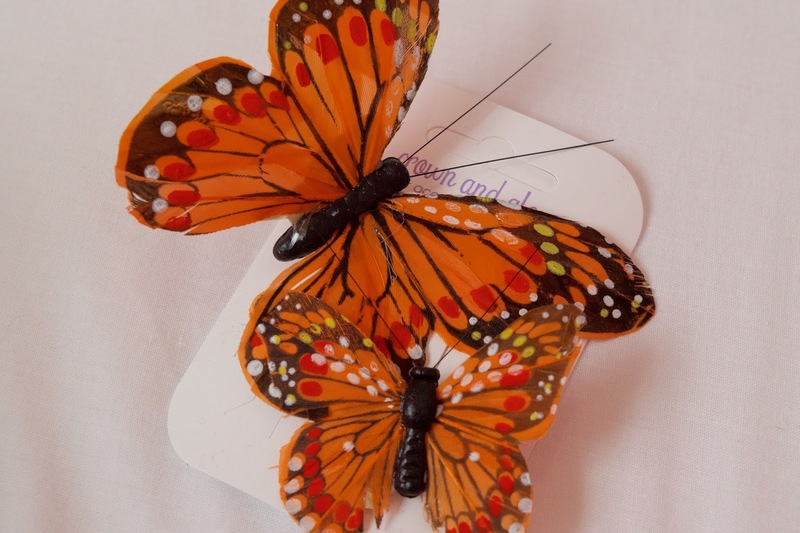 First up were these beautiful orange butterfly hair clips, which give you a little idea about this month’s theme – butterflies! Just nestled underneath the butterflies were these delicate gold leaf bobby pins, which I think will be absolutely perfect for taking us into the autumn months. Also inside this month’s box were a couple of super exciting products. 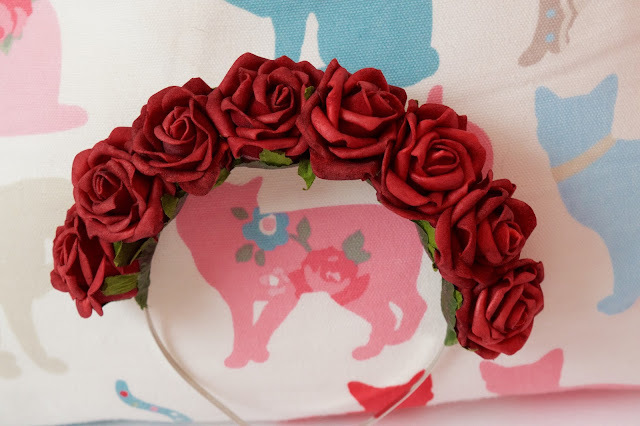 The first was this absolutely gorgeous Lotta Rosie floral crown in a deep red wine colour – again, perfect for going into autumn. 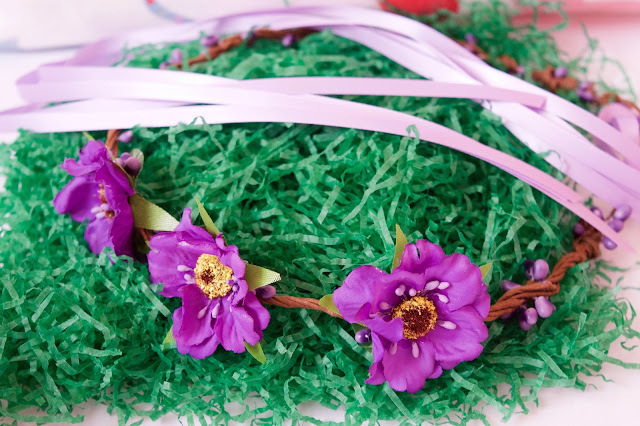 This box gave us not one, but two amazing crowns! The second was a different style autumn berry crown, with purple flowers and berries and a lilac ribbon to tie at the back. I was quite excited when I heard what the theme would be for September, and when I opened it to find it was also carrying us into autumn I couldn’t be more pleased. Although I love the Spring/Summer months, Autumn has got to be my favourite season. 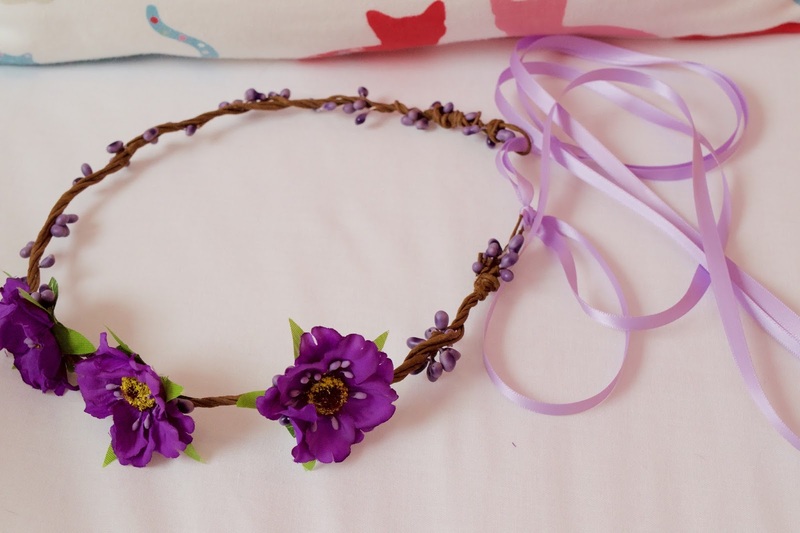 I just love the leaves turning golden brown, fairy lights, candles and snuggly clothes, plus it’s almost my birthday (October 4th for anyone that’s interested!) So yes, this box was definitely a winner with me and I can’t wait to wear it all to brighten up the next few months. If I’ve managed to tempt you into becoming a Glitterati member, head over to their website here to join the fun! Are you a Glitterati subscriber? Or have I managed to tempt you into joining up? !